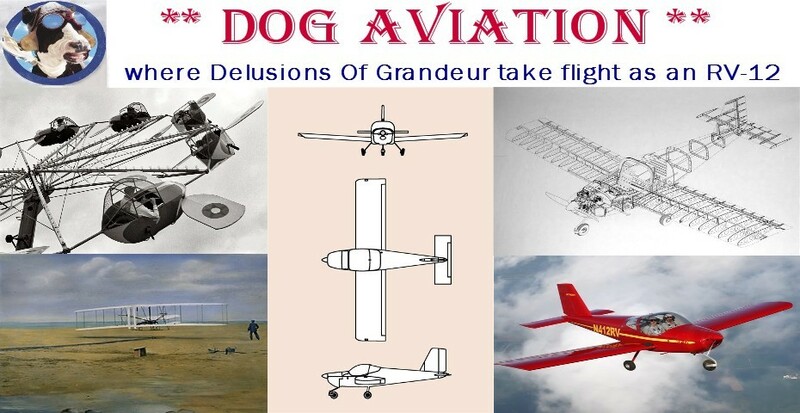 Tomorrow will hopefully be a momentous occasion at DOG Aviation … the initial mating of the wings to the RV-12 fuselage. The plans instruct the builder to first install the wings without the flaperons and make clearance adjustments as necessary. After a successful wing instillation, the wings are to be removed and the flaperons are to be installed onto the wings and bolted in position. Next 1/8" shims are to be utilized to droop down both flaperons prior to match drilling the flaperon torque tubes. Van’s plans showing how two 1/8" shims are to be used to droop the flaperons prior to match drilling the flaperon torque tubes. Clamping the two shims as shown will work but the clamp has to be positioned perfectly. Decided on trying a different tact which should, theoretically, result in a more positive way to hold the desired droop positioning of the flaperon. The idea is to expand upon Van’s method shown in the photo above and add two additional plates … one above and below the shims to sandwich them in position hopefully adding to both ease and accuracy. Van’s gives no dimensions for the shims except for the 1/8" thickness, so a piece of 2" wide 1/8" thick bar stock was cut into 6" long pieces. And two additional 12" long pieces were cut which will hopefully tightly sandwich the 6" shims in position. A set as shown below was made for each wing. The two 6" long shims in the center will create the flaperon droop and the two 12" pieces of bar stock will snuggly sandwich the shims in position and hopefully add more accurately in the process. The last item that was prepared for match drilling the WD-1214 torque tubes was the making of two temporary spacers that need to be .063" thick. Two 3 1/2" x 1" spacers were made from 1/16" aluminum bar stock that was in the shop. The plans call for the spacers to be placed between the WD-1214 torque tubes and the WD-1215 flaperon torque arms prior to clamping and match drilling the parts after the wings (with flaperons) are attached. The 1/16" thick shim in place between the right WD-1215 flaperon torque arm and right WD-1214 flaperon torque tube. After the wings with flaperon assembly are attached to the fuselage the parts in the above photo will be clamped and match drilled in two locations. Hopefully this will take place tomorrow if the weather cooperates with no high winds.